I like the above artwork and scripture. They both say a lot! At times we forget we are just as vulnerable as the people of the Old and New Testaments. We should learn and not repeat the mistakes that have been clearly placed there for our learning and growing in God. My Father just has to remind me from time to time. That's when I repent and start over with a fresh perspective. It is good for all of us to have the rug pulled out from under us to teach us Humility! 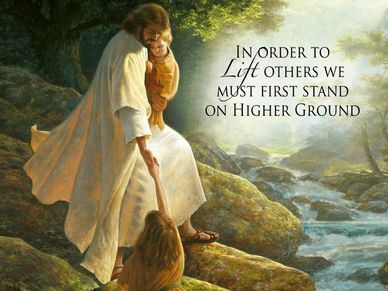 Lord keep us in a place where we can bring others up and out of their distress and slumps.